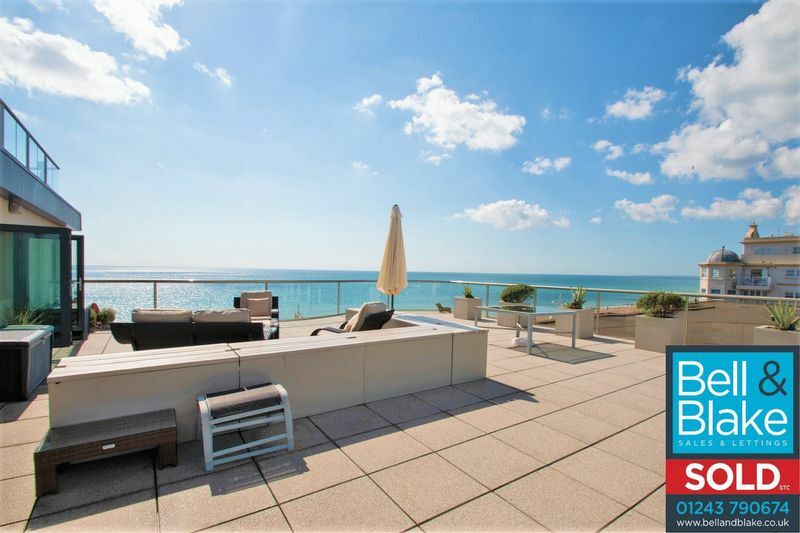 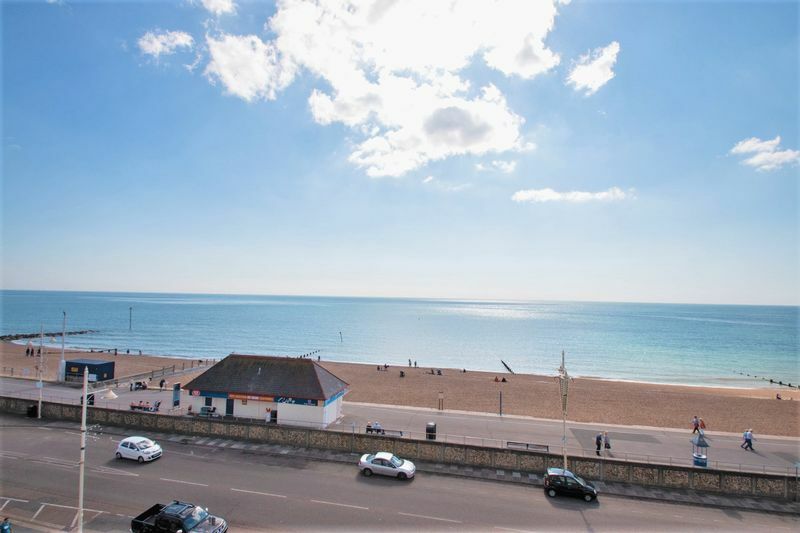 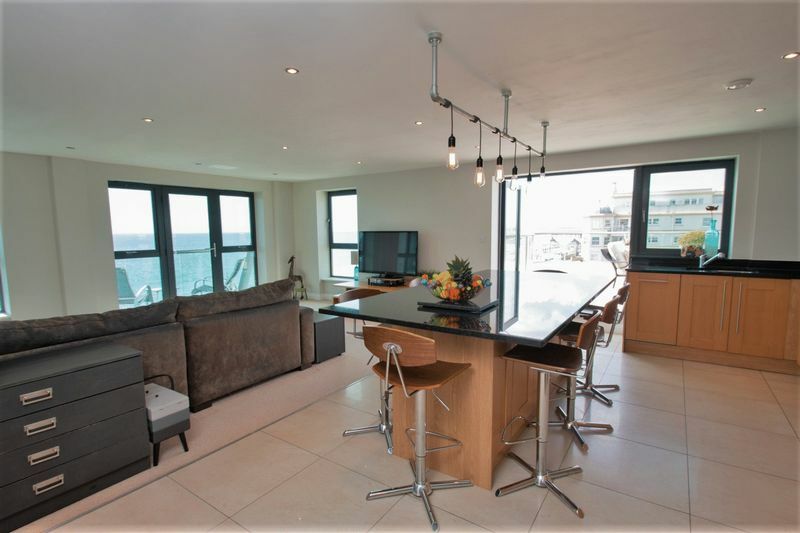 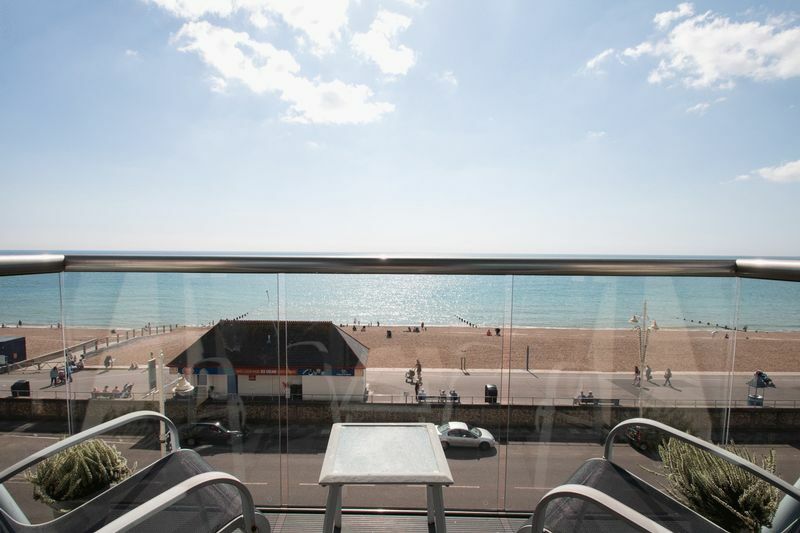 Stunning PANORAMIC SEA VIEW Penthouse Apartment With 39ft x 35ft TRIPLE ASPECT ROOF TERRACE. 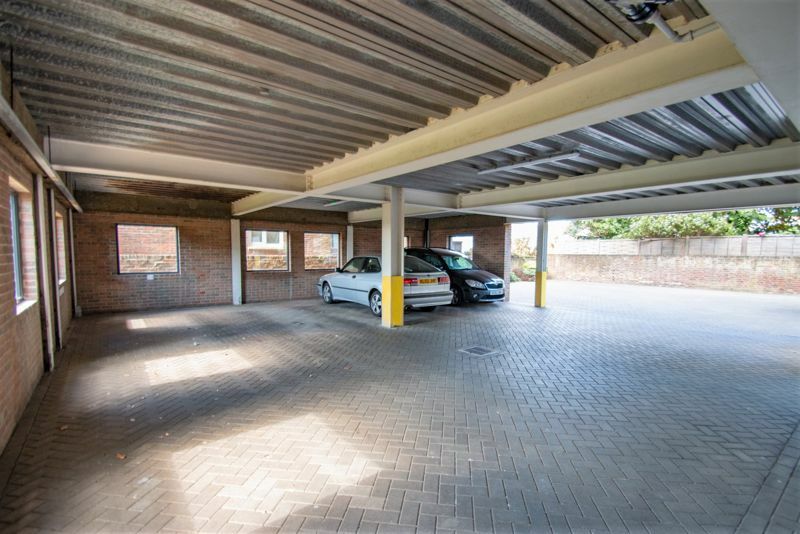 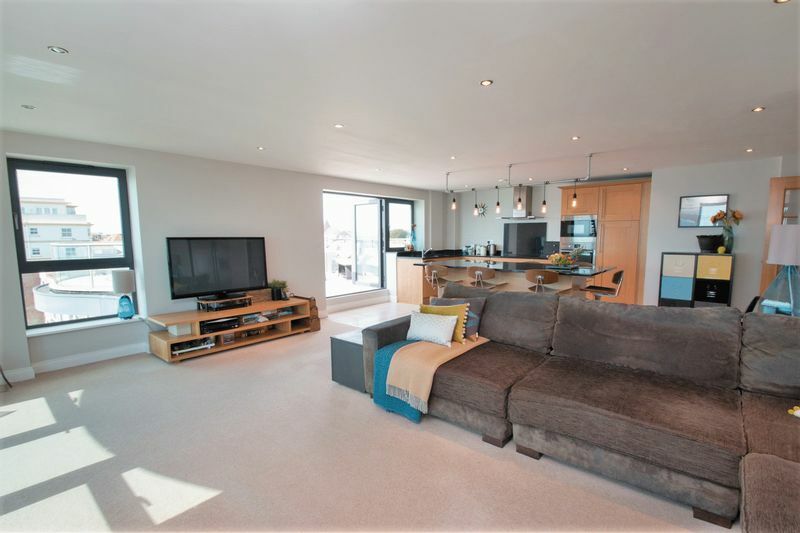 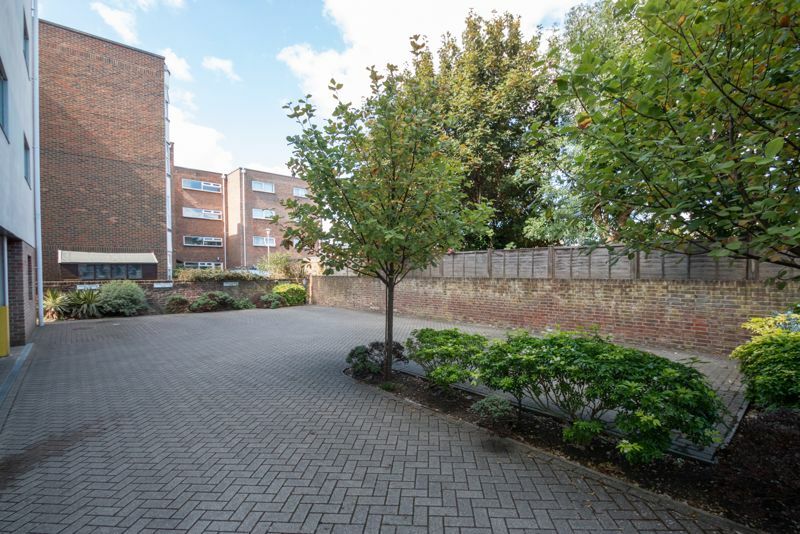 3 Bedrooms master with ensuite, further shower room,OPEN PLAN KITCHEN DINING LIVING ROOM, 2 secure covered parking spaces, UNDER-FLOOR HEATING throughout, video entry system and 2nd balcony to the front. 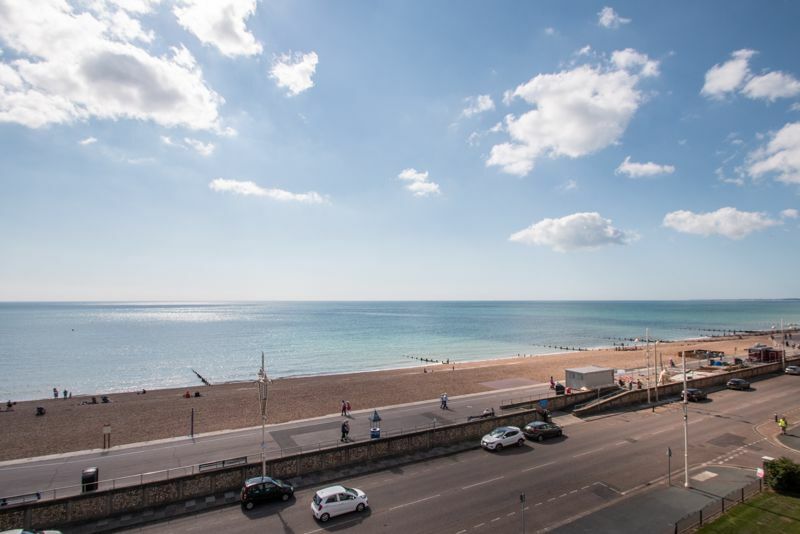 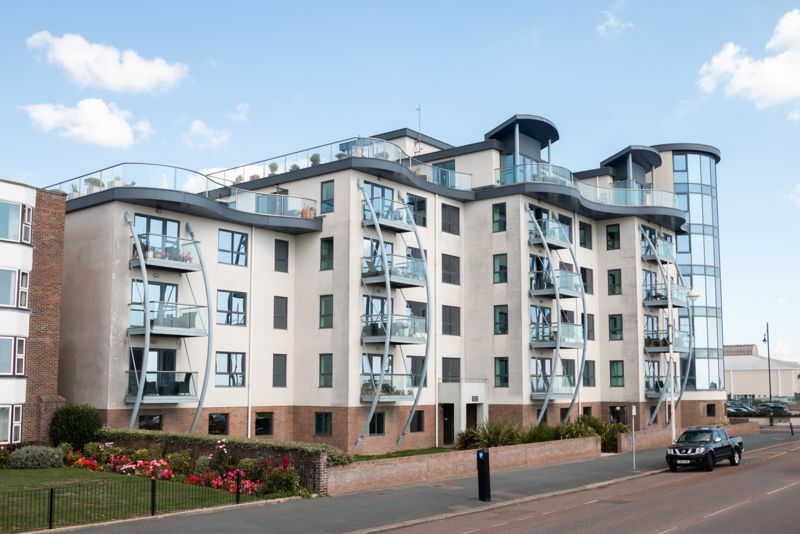 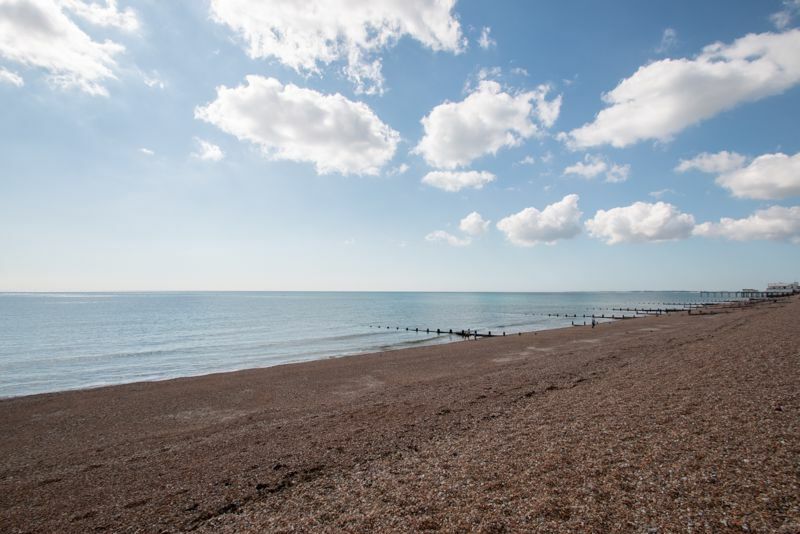 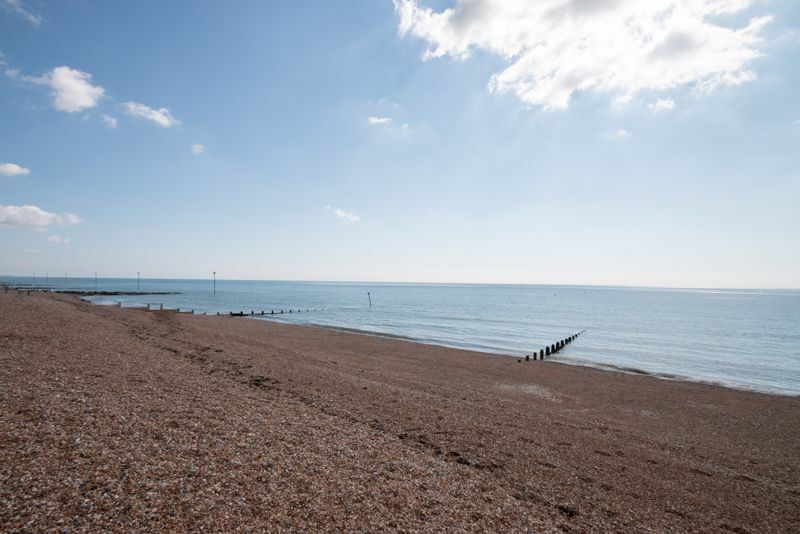 Compass Point is an Iconic sea front building and is conveniently located for seafront, town centre, parkland and amenities. 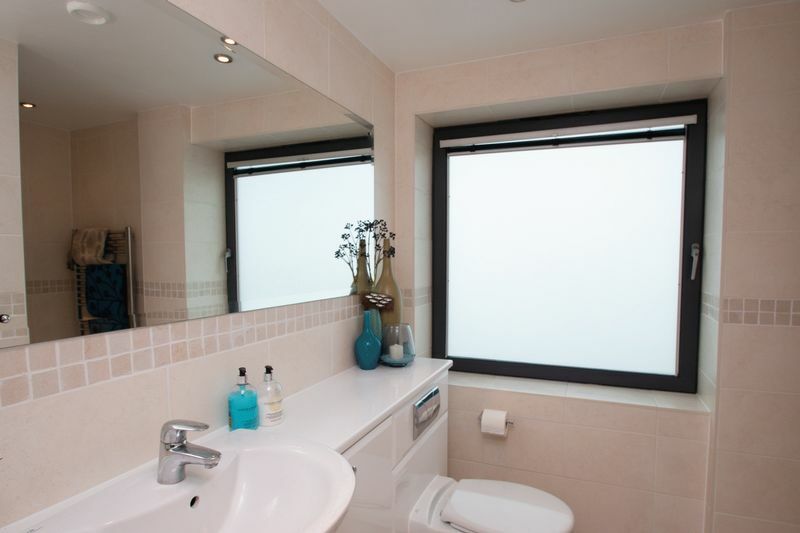 Internal viewing is essential to appreciate all the property has to offer. 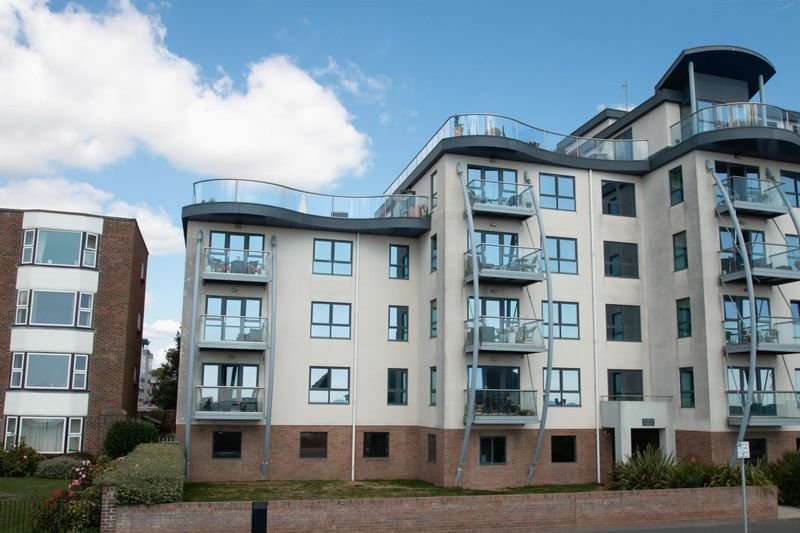 Secure communal entrance with video entry system, lift or stairs to fourth floor. 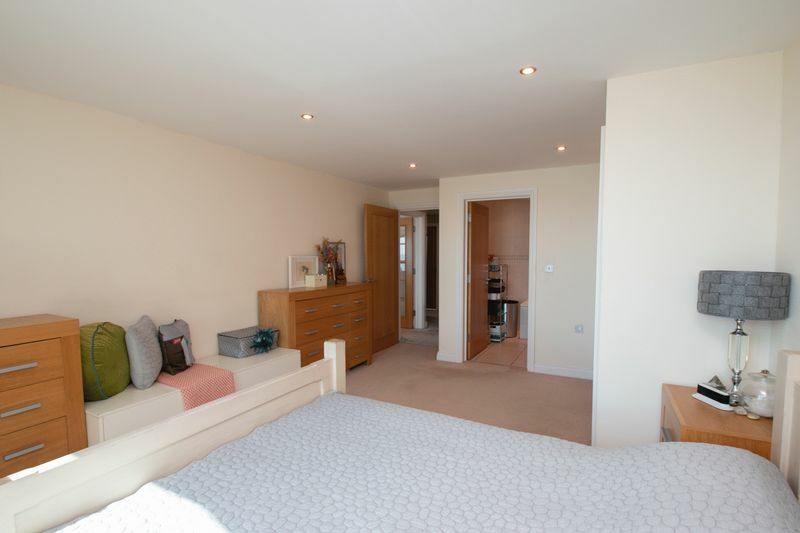 Skimmed ceiling with inset down-lighters, loft access hatch, video entry phone, double storage/airing cupboard and under-floor heating. 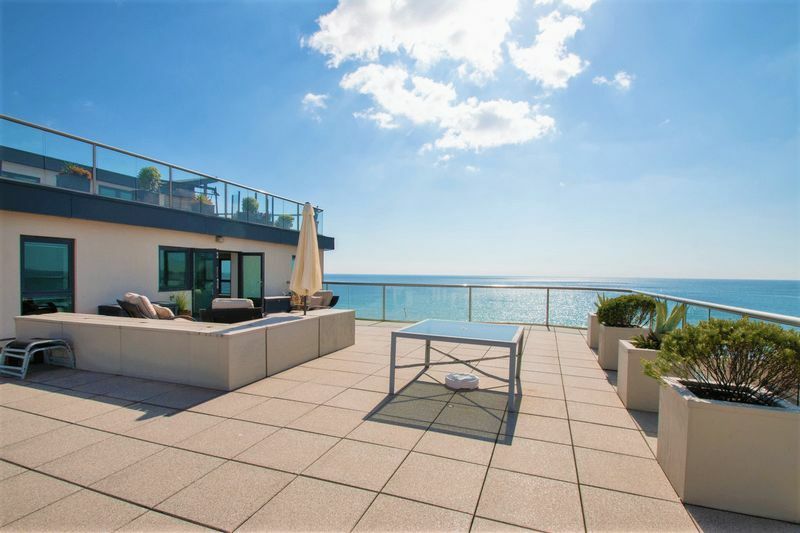 Dual aspect with panoramic sea views, double glazed windows & french doors leading to private roof terrace to the side further double glazed windows and door to the front leading to balcony. 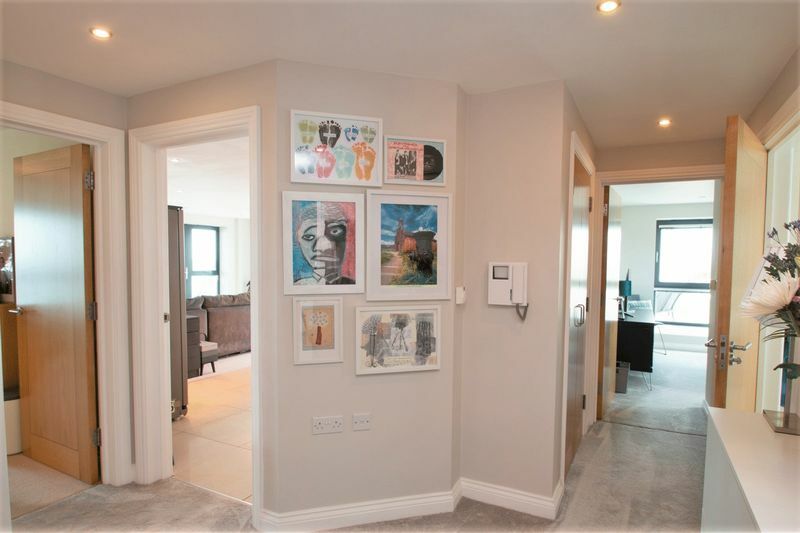 Skimmed ceiling with inset down-lighters. 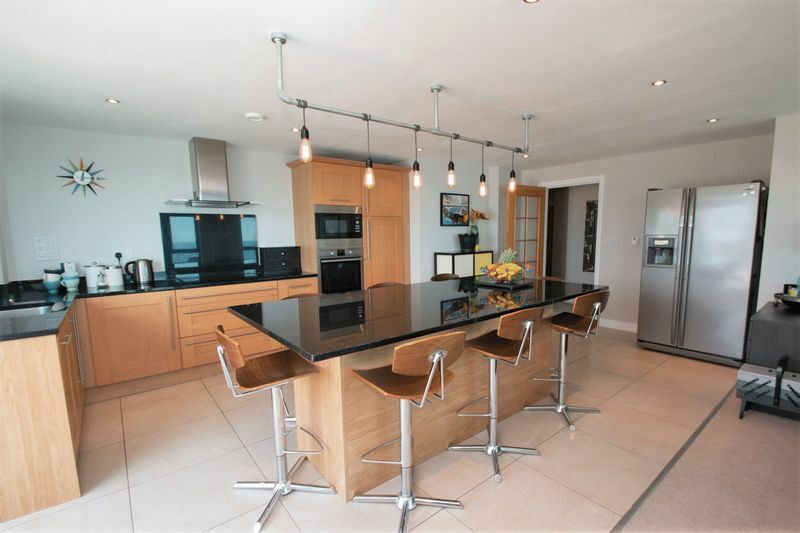 Kitchen area has a variety of units with quartz worktops with up-stand, one and a half bowl sink with drainer and mixer tap, 4 ring ceramic hob, built-in oven, built-in combi-microwave, integrated dishwasher, space for 'American Style' fridge freezer, 8 seater breakfast bar with quartz worktop. 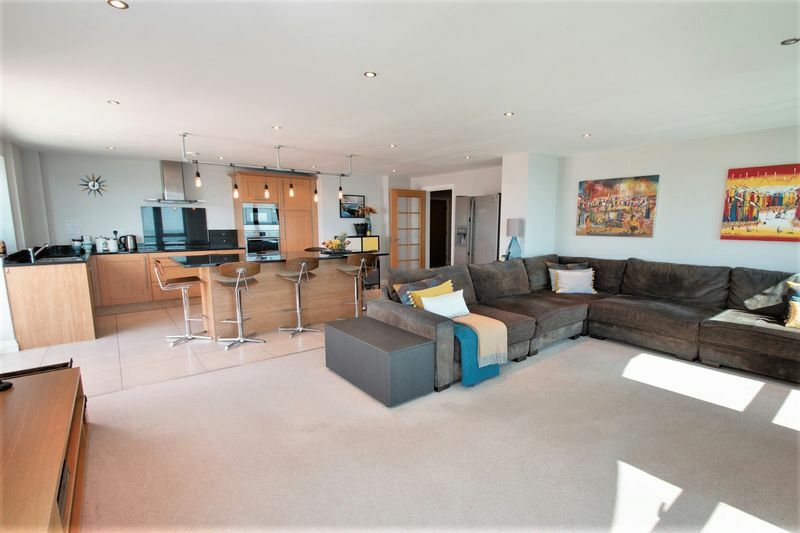 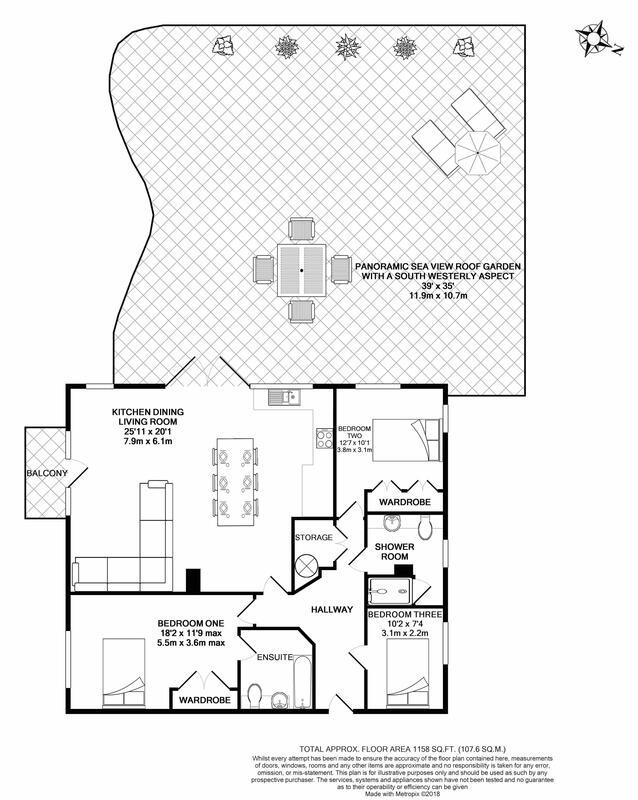 Living area has telephone and television point and under-floor heating throughout. 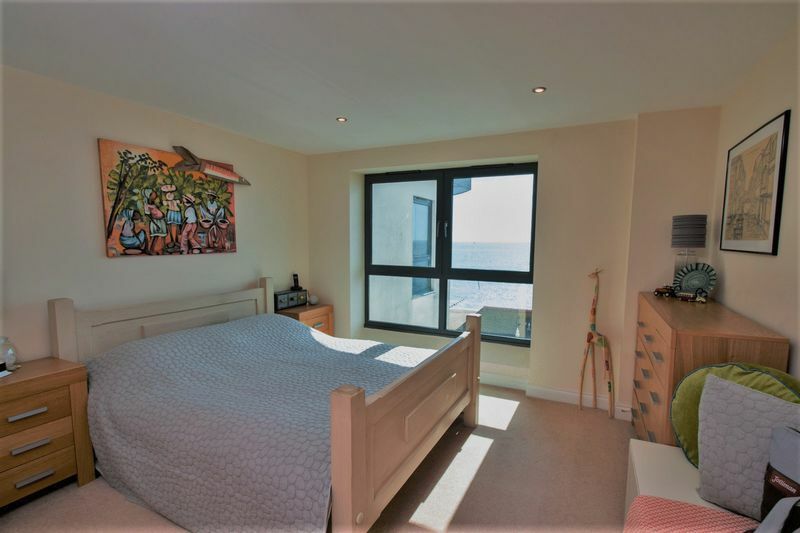 Double glazed window with direct sea views, skimmed ceiling with inset down-lighters, double built-in wardrobe, under-floor heating and door to Ensuite. 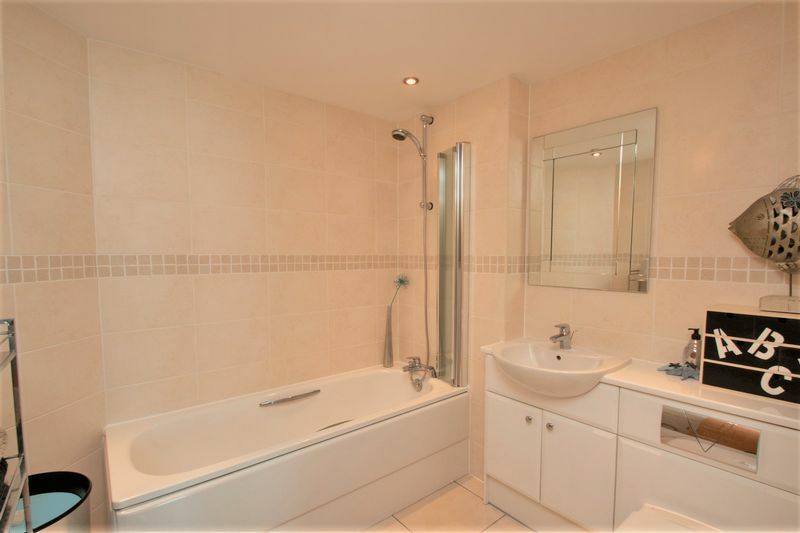 Skimmed ceiling with inset down-lighters and extractor fan, bath with shower over, Wash hand basin and WC built-in to vanity unit, chrome towel radiator, fully tiled walls and floor and under-floor heating. 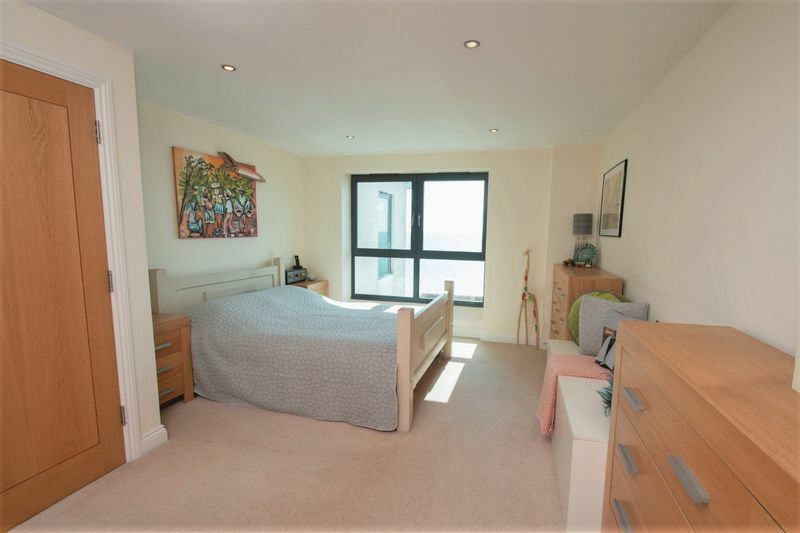 Double glazed windows to the side and rear, skimmed ceiling, four door built-in wardrobe, TV and telephone point and under-floor heating. 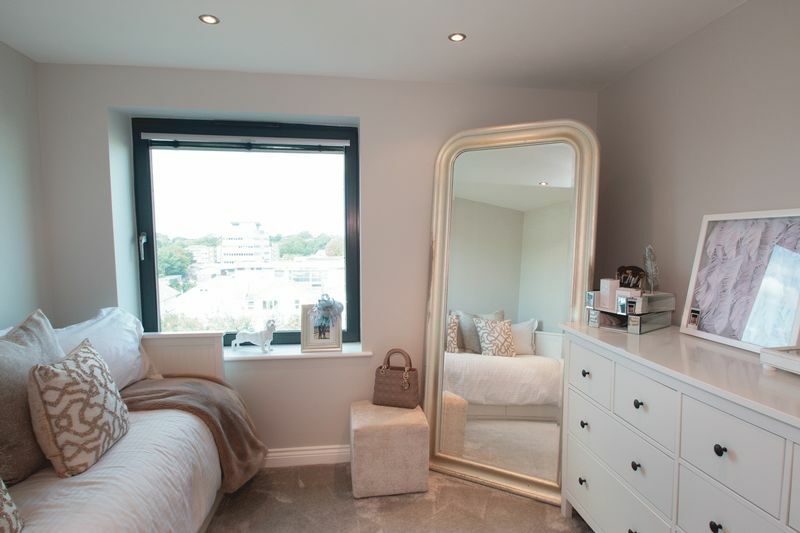 Double glazed window to rear aspect, skimmed ceiling with inset down lighters and under-floor heating. 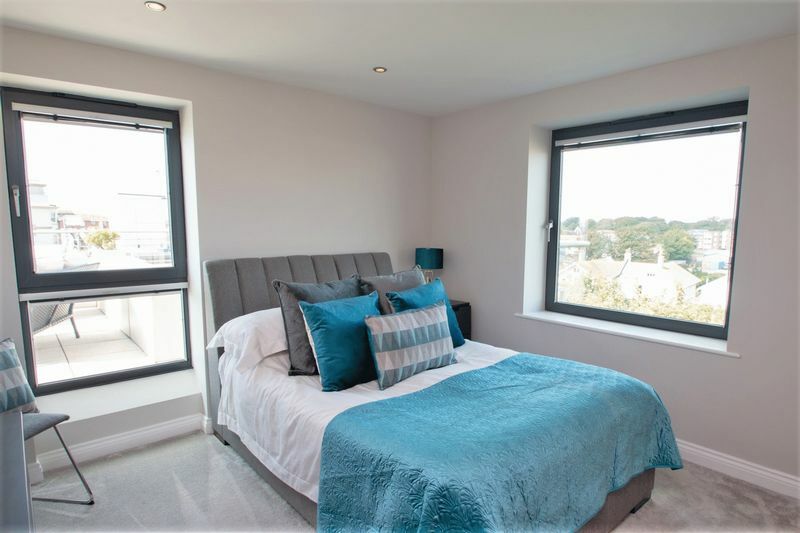 Double glazed obscure window to rear aspect, skimmed ceiling with inset down-lighters and extractor, walk-in shower, wash hand basin and WC built-in to vanity unit, chrome towel radiator, fully tiled walls and floor and under-floor heating. 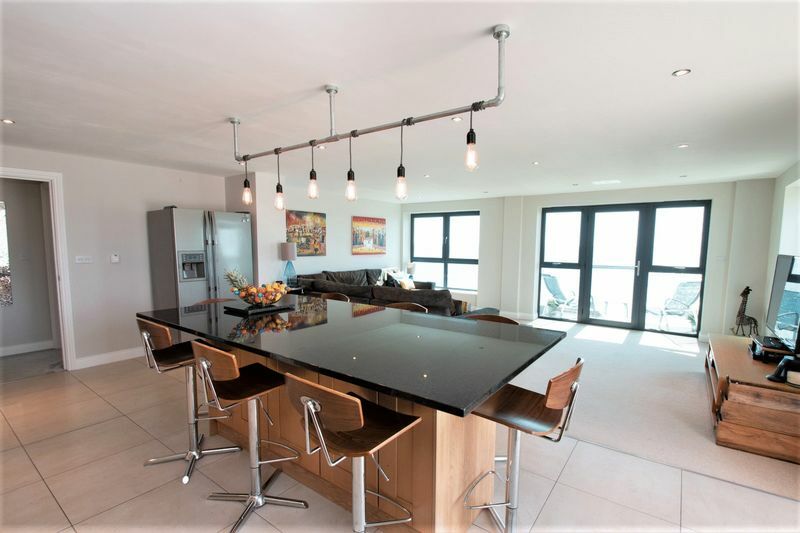 Accessed from the living area, surrounded by stainless steel and toughened glass balustrade with composite decking and direct southerly aspect sea views..
Accessed via the kitchen area with stunning far reaching panoramic views towards the sea and down the coast to the South and West aspects. 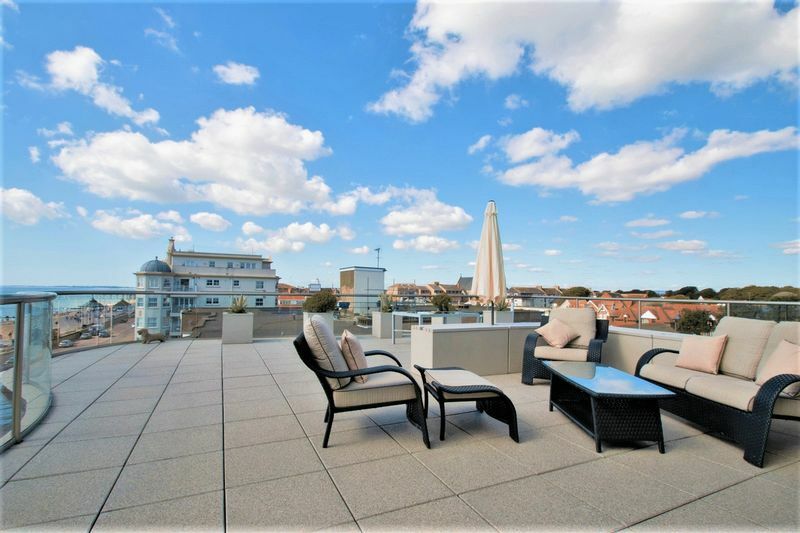 Further views over roof tops towards the South Downs National Park to the rear. 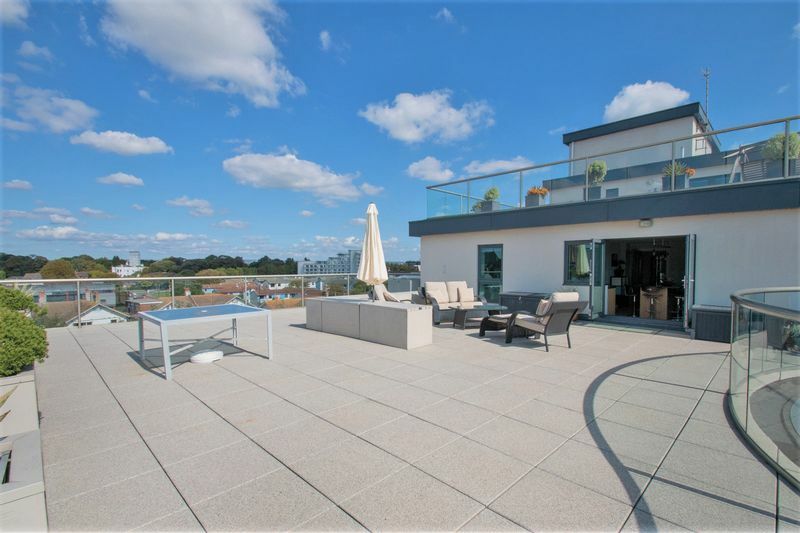 The terrace is granite paved, surrounded by stainless steel and toughened glass balustrade, there is outside power, light and outside tap.